While Parkwalk Advisors has been headquartered in London since foundation it is fair to say that the investor has become very much part of the fabric of the Cambridge technology scene. Since October 2017 when we did the research for the previous year’s Deals of the Year feature, Parkwalk has invested around £27 million in Cambridge ventures alone among a thriving UK portfolio. Parkwalk invests in technology companies that have IP backing and freedom to operate, generally spun-out of UK universities. 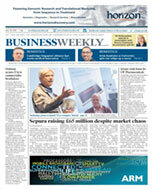 Its funds seek to generate capital gains for investors, enhanced by the attractive tax relief provided by EIS. Parkwalk entered this investment sector in 2009, anticipating a wave of tax-efficient incentives launched by the UK government to stimulate innovative emerging technology companies and thereby help drive economic growth. The company leverages academic, technology transfer, venture capital and personal networks developed over many years to gain access to the highest calibre deal-flow. As far as Cambridge is concerned, it has another powerful string to its bow: In conjunction with Cambridge Enterprise, the university’s commercialisation arm, Moray Wright and his colleagues at Parkwalk manage the University of Cambridge Enterprise Funds, allowing alumni and supporters unique access to deal-flow. Fund VI opened to investors in August. In February 2018, the University of Cambridge Enterprise Fund V and the Parkwalk Opportunities Fund closed an investment into Cytora, an artificial intelligence risk analytics spin-out from the university. Cytora raised $5.9 million in new financing from investors including divisions of QBE’s venture capital arm and Starr Cos. Cambridge Innovation Capital, Cambridge Enterprise and Parkwalk all participated. Other investors who committed funding include Finnish software developer Ilkka Paananen, CEO of gaming studio Supercell, and Paul Foster – a co-founder of Indeed.com, an employment-related search engine. Also in February, Parkwalk helped extreme scale data business Geospock complete a $13.2m Series A by joining other UK and Japanese backers in a $6.6m top-up raise. GeoSpock’s unique architecture system powers the analysis of trillions of data points in seconds; its integration platform provides analytics, builds insight and enables predictions across space and time. The round was led by Cambridge Innovation Capital with existing investors Parkwalk Advisors and Cambridge executive entrepreneur Sir Michael Marshall. Japanese strategic investors Global Brain and 31 Ventures also participated. Another technology area was in the spotlight in March as Parkwalk closed an investment in Sorex Sensors for the University of Cambridge Enterprise Fund V. Sorex Sensors is a spin-out from the university’s Department of Electrical Engineering and has developed a dual-mode film bulk acoustic resonator sensor technology. The devices, fabricated on a silicon wafer, comprise a thin film of piezoelectric material that is made to resonate. Attachment of mass to the surface changes the resonant frequency and provides an extremely accurate measurement of the amount of mass on the sensing area. April proved another productive month as Spectral Edge, chaired by serial tech investor Robert Swann, secured $5.3m in further funding from existing investors Parkwalk Advisors and IQ Capital. Spectral Edge combines cutting-edge imaging science with machine learning to improve pictures and videos on mass market devices. This is done in real time with a pixel-level, embeddable technology that can be implemented in software or in silicon. The technology behind the process can be used across a range of potential applications that rely on image quality for either function or aesthetics – from mobile to security, and from automotive to on-demand video or live broadcast. May really blossomed for Parkwalk as a new chapter opened with a Paragraf! Paragraf is a graphene technology development company recent spun out from the University of Cambridge. It closed a £2.9m seed round to support the development of its first major products. The round was led by Cambridge Enterprise with the participation of Parkwalk Advisors, Amadeus Capital Partners, IQ Capital Partners and angel investors. Cambridge Touch Technologies (CTT) completed a $5.5m Series A1 round. Existing investors – Parkwalk, Cambridge Enterprise and Amadeus – participated and were joined by new investors China Materialia of Shanghai and Downing Ventures of London. CTT’s technology uses the world’s simplest architecture to deliver an all-screen, multi-finger 3D touch solution that can scale to all device sizes at a fraction of the cost of existing approaches. 3D Touch is an enhanced user interface which is now being deployed by all leading mobile and smart device makers. PhoreMost, a biopharmaceutical company dedicated to drugging ‘undruggable’ disease targets, completed an £11m Series-A led by current investors Jonathan Milner, Amadeus Capital Partners, Cambridge Enterprise, and cornerstone backer Parkwalk Advisors. Alastair Kilgour of Parkwalk also joined the board. 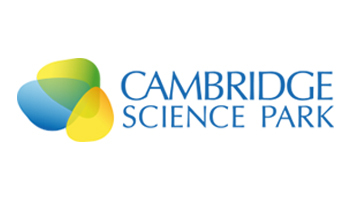 That same month Parkwalk donned its University of Cambridge Enterprise Fund V investment hat to invest in a Series B for RoadMap – a business founded on four patents licensed from the Cambridge Centre for Advanced Photonics and Electronics in the area of silicon wavelength switch technology. Parkwalk’s sizzling summer continued in June as Silicon Microgravity (SMG), a spin-out from both BP and the University of Cambridge, raised $7m from IP Group, Parkwalk, BP Ventures and Cambridge Enterprise. SMG is developing and applying innovative technology primarily to improve surveillance, appraisal and production of oil and gas with additional application to CO2 storage, water management, mining and defence. July brought a $14m Series B success for debugging software ace Undo. The raise was led by Cambridge Innovation Capital with new investors Global Brain Corporation and Parkwalk joining the round. The funding was designed to grow Undo’s software development team, accelerate its product development and expand its US operations. 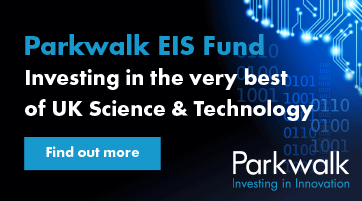 Also in July, Parkwalk made a follow-on investment into Aqdot on behalf of the Parkwalk Opportunities EIS Fund. Aqdot is a spin-out from the Department of Chemistry; Its proprietary technology introduces an innovative, simple method for manufacturing structures in the millimetre and nanometre range that are useful for encapsulating valuable cargos. It has the potential to be game-changing in a wide range of industries, including household products such as detergents, fragrances, agrochemicals, composites, pharmaceuticals, oil and gas, food, paint, personal products and cosmetics. August might have been holiday month for some executives but there was no rest for Parkwalk as the University of Cambridge Enterprise Fund V invested in a £3m Series A financing round into Healthera, a provider of next-generation, pharmacy-integrated personal health management solutions. 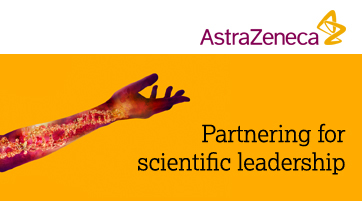 Healthera connects patients to a platform of hundreds of pharmacies and NHS GPs, allowing them to order and track prescriptions, access clinical services and monitor their medication intake in one digital end-to-end solution. In September, PervasID – an RFID (Radio Frequency Identification) technology provider commercialising university IP – secured £1.6m Series A cash. Cambridge Enterprise backed the play along with Parkwalk, Cambridge Innovation Capital and Martlet, the angel investment vehicle of the Marshall of Cambridge Group. In September, Parkwalk made an investment in a £3.1m seed funding round into AudioTelligence for the University of Cambridge Enterprise Fund V. AudioTelligence is delivering real-time audio processing technology for the enhancement of Automatic Speech Recognition systems. Speech control is being used increasingly in consumer electronics, with smart speakers being the world’s fastest-growing consumer technology segment in the first quarter of 2018 – driven by Amazon’s Echo, Google’s Home and several recent entrants such as Xiaomi.